In 2013, IASSA was recognized and became the Associate body of World Association of Sleep Medicine (WASM) which was one of the important milestone for IASSA. 1st National Conference on Snoring & Sleep Apnoea (IASSACON2013) of Indian Association of Surgeons for Sleep Apnoea was held on 15 - 17 Feb 2013 at Hotel Le Meridien Chennai Organized by Dr. P. Vijaya Krishnan. This conference is the first national-level conference of IASSA to discuss in detail about all sleep-related issues and to formulate a guideline for assessment and management of sleep apnoea. This is a mega event, around 500 delegates came across the country and neighboring countries. This prestigious conference brought together an eminent “Star Studded” Galaxy of internationally acclaimed leaders in various disciplines of this field of Snoring and Sleep Apnoea. 3. 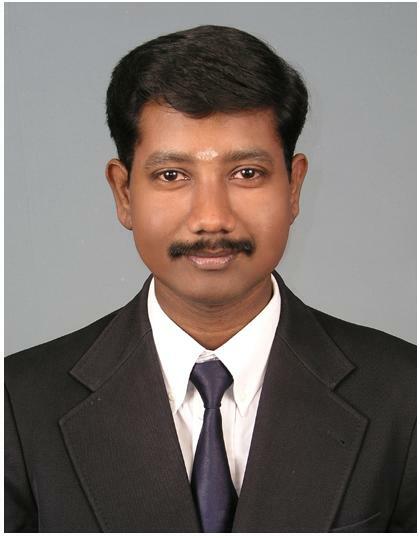 Dr. Venkatesan T K, USA. This Conference had a live surgical demonstration of Surgeries for Sleep Apnoea on 15/02/13 at Madras ENT Research Foundation Pvt Ltd, RA Puram, Chennai. 2nd National Conference on Snoring & Sleep Apnoea (IASSACON2014) of Indian Association of Surgeons for Sleep Apnoea was held on 7 – 9 Feb 2014 at Kadavu Resort, Calicut organized by Dr. MP. 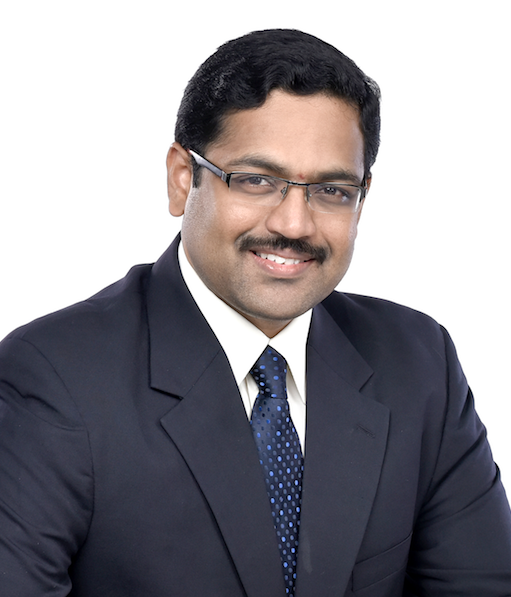 Manoj. This conference also brought together faculty from various countries. This Conference also had a live surgical demonstration of various Sleep Apnea Surgeries on 07/02/14 at Dr. Manoj’s ENT, MESIARC, Calicut. 3rd National Conference on Snoring & Sleep Apnoea (IASSACON2015) of Indian Association of Surgeons for Sleep Apnoea was held on 16 – 18 Jan 2015 at Hotel Taj Krishna, Banjara Hills, Hyderabad organized by Dr. Deenadayal and Dr. Srinivas Kishore. This conference also brought together faculty from various countries. This Conference also had a live surgical demonstration of various Sleep Apnea Surgeries on 16/01/15 at Nova Specialty Hospital, Jubilee Hills, Hyderabad. 4th National Conference on Snoring & Sleep Apnoea (IASSACON2016) of Indian Association of Surgeons for Sleep Apnoea was held on 1 – 3 April 2016 at Hotel Taj Land’s End, Mumbai organized by Dr. Vikas Agrawal. This conference brought together faculty from various countries. 5th National Conference on Snoring & Sleep Apnoea (IASSACON2017) of Indian Association of Surgeons for Sleep Apnoea was held on 31st Mar – 2nd April, 2017 at Hotel Le Meridien, New Delhi organized by Dr. Devinder Rai. This conference brought together faculty from various countries. This Conference also had a live surgical demonstration of various Sleep Apnea Surgeries on 31/03/17 at Sir Ganga Ram Hospital, Delhi. 6th National Conference on Snoring & Sleep Apnoea (IASSACON2018) of Indian Association of Surgeons for Sleep Apnoea was held on 2 - 4 Mar 2018 at Mahatma Gandhi Medical College and Research Institution, Pondicherry organized by Prof. P. Karthikeyan. This conference brought together faculty from various countries. This Conference also had a live surgical demonstration of various Sleep Apnea Surgeries on 02/03/18 at Mahatma Gandhi Medical College, Pondicherry. I am humbled, honored and privileged to assume the role of President of the most Prestigious Associations of ENT- Head and Neck Surgery the “Indian Association for Surgeons of Sleep Apnea (IASSA)” for 2018 - 2020. I am deeply grateful to my predecessors, Dr. Seemab Shaikh, Dr. Vikas Agrawal and Dr. Srinivas Kishore, Dr. Vijaya Krishnan P for their leadership and outstanding contributions to IASSA during their presidency, and the members of the Executive Committee. I am inspired by their commitment to IASSA and all of their achievements. Indeed, the growth of IASSA has been propelled collectively by the individuals and all the past presidents and past members of the IASSA Executive Committee. I look forward to continuing this important work towards fulfilling the mission of IASSA. In this endeavour, I am joined by my colleagues on the Committee with Dr. Vijaya Krishnan P (Secretary-General), Dr. Gowri Shankar M (Treasurer) as well as the Executive Committee members Dr. Ranjini Raghavan, Dr. Dipankar Datta, Dr. Rahul Modi, Dr. Vidyasagar D, Dr. Navin K Patel, Dr. Dhanraj Sherurkar, Dr. Sandeep Bansal. With their continued support and that of the IASSA Members, I am confident that we will be steadfast in addressing the challenges, and in the next two years our accomplishments will be many — within IASSA as well as in the Field of Obstructive Sleep Apnea. IASSA has just completed 6 years as an organization and has a long list of achievements. As an organization, IASSA has expanded to have around 450## members and continues to grow. IASSA has created strong outreach and education programs, hosted National scientific conferences and surgical workshops that bring together the best minds in OSA, and developed key publications of Clinical Practice Guidelines on Management of Adult OSA and created the Consent form for OSA Surgeries. Through this work, IASSA has helped to define what it is to be a Surgeon for Sleep Apnea and identified the specialized training, education, and services that are needed in order to diagnose Obstructive Sleep Apnea and manage patients who suffer from them. IASSA has provided support in areas of the Country where these resources are greatly needed, toward the goal of ensuring that care for patients with OSA can be available anywhere in the country. After a wealth of initial achievements, a great deal of work still needs to be done to reach that goal. I am happy to be given this great opportunity, and I will continue the leadership of IASSA in its position as a National authority in Obstructive Sleep Apnea Syndrome. I see a true need to accelerate the pace of our work because of the escalating prevalence, complexity and severity of OSA and its morbidity. The prevalence is especially seen in children and in middle aged & Elderly adults who bear the greatest burden of these trends. In this context, IASSA is taking steps in this direction and trying to get the country wide multi centric prevalence study that is more representative of our population. Through this we are aiming to achieve a database that can be used for comparison studies and further publications that are specific for the population representative of our country. However, the efforts to target management of OSA are still very fragmented. In order to address this escalating major National health challenge that threatens health and economies alike, it is important to have a National action plan, and one that includes partnerships involving different stakeholders from countries at all economic levels. To address this escalating problem IASSA is in the process of training interested ENT surgeons to undergo two months certified training program at select centers of excellence across the country. IASSA is also in the process of getting the allied specialties that are involved in the management of OSA, together we feel that the management of OSA can be streamlined and appropriate care can be given to the patients. To carry out the above-mentioned action plan, a good communication channel with members and with ENT fraternity across the country is needed. To achieve that IASSA is taking steps to create e-News Letter. This would, not only create awareness among the specialty but also spread the activities of IASSA and its members all across the country. IASSA is not just limiting itself to our country. With its partnering with WASM, IASSA is having its foot in the International platform. Recently, it’s a great news to bring the Annual conference of International Society of Sleep Surgeons (ISSS) to India. India would be hosting the 2023 Annual Conference of ISSS. Furthermore, IASSA is also involving itself with academic activities in the Indian Subcontinent as well as in the Asian countries (Singapore & Malaysia) as well as in Egypt. Finally, on behalf of myself and the IASSA Board, I would like to extend our request to all the interested ENT Surgeons to become members and actively involve themselves in the management of OSA. With all your support I would like to take this opportunity and take this association to further heights. Sleep disordered breathing is a modern day scourge with increasing number of patients presenting to physicians and surgeons with raised symptomatology. Obstructive Sleep Apnoea Syndrome, its chief protagonist is a medical and surgical problem with input from several specialties. INDIAN ASSOCIATION OF SURGEONS FOR SLEEP APNOEA was started keeping in mind the need for systematic scientific study and academic interaction between various specialities. It is a prestigious moment for us that WASM - World Association of Sleep Medicine accredited our association as WASM’s Associate Society. As a part of it, all our members will be provided online free access to their International Sleep Medicine Journal… They will get discounts to become a WASM member and also in registering for their congress… We can use their logo and their accreditation in our future conferences and workshops with prior permission. We invite membership from all medical fraternity, who have interest in snoring and sleep disordered breathing.